Hybrid courts with Sudanese and foreign judges should investigate violence in Sudan's Darfur region, a report by ex-South Africa leader Thabo Mbeki says. African leaders are considering the report at a meeting in Abuja, Nigeria. The UN says some 300,000 people were killed in Darfur's six-year conflict. Khartoum says about 10,000 died. Sudan President Omar al-Bashir is the subject of an arrest warrant issued by the International Criminal Court (ICC) over claims he backed the militias - allegations he denies. The Nigerian government invited him to attend Thursday's meeting in Abuja, sparking outrage among rights groups who called for him to be arrested if he made an appearance. It is understood he opted not to attend the meeting, Sudan instead being represented by Vice-President Ali Osman Mohamed Taha. He is among the leaders considering the findings of Mr Mbeki's team. The BBC's Africa analyst Martin Plaut says the 148-page report is written in diplomatic language, but it still makes clear that previous attempts to deal with justice in Darfur have made little progress. The process of delegating which judges would sit on the courts will be decided by the AU "in consultation with the government of Sudan". And here lies the difficulty. What will happen if the African Union and the Sudanese government do not see eye to eye with each other on the composition or working of these courts? The government in Khartoum has years of experience in dealing with outside pressure and international diplomats have long complained of its ability to clog up any process with which it does not agree. The key question - therefore - will be the degree to which President Bashir supports the Mbeki suggestion for a hybrid court.Neither the special courts established by the Sudanese government nor the ICC warrant are considered to have contributed to peace. Instead the panel recommends setting up a special hybrid court comprised of Sudanese judges and other judges selected by the African Union. They would sit together to try some of the most serious cases of human rights abuse in Darfur. But our reporter says giving the Khartoum government a say in who the judges are means the key issue is whether Mr Bashir is willing to support Mr Mbeki's proposals. Mr Taha said Khartoum approves of the "deep vision" contained in the report "about elections being held all over Sudan, especially Darfur". But he said the hybrid courts would set a precedent for all other disputes in Africa and so needed to be discussed further. "Recommendations that need further dialogue include the establishment of a new justice mechanism," Reuters news agency quoted him as saying. "That needs closer scrutiny [to see] if it is in line with the constitution." Former French President Jacques Chirac attended the funeral of President Omar Bongo of Gabon in June. 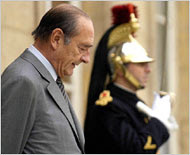 Mr. Chirac was the Paris mayor from 1977 to 1995, when he was elected president and remained in office until 2007. His position as president gave him constitutional immunity from prosecution, which fell away when he left office. Preliminary embezzlement charges were filed soon after he stepped down. While he was still in office, several of his aides faced trial on corruption charges, including the former prime minister Alain Juppé, convicted of financing irregularities in 2004. Those charged with him include accused recipients of unlawful largess, including a former minister, Michel Roussin; the former labor leader, Marc Blondel; and Jean de Gaulle, the grandson of former president Charles de Gaulle. “Even if he deserves this, it’s not good for France’s image,” she said. On November30 this year, East Africans will celebrate the 10th anniversary since the second EAC treaty was signed in Arusha, Tanzania in 1999. I say the second treaty because the first one was signed in Kampala, Uganda in 1967 by the founding fathers of the original three partner states. Dates and durations of various EA treaties make interesting reading during and after the colonial period. They seem to have been steadier under the British rule than they became in post colonial era. At a glance, the Customs Union signed between Kenya and Uganda lasted for 22 years before Tanganyika joined. The 1922 Treaty that admitted Tanganyika to the Customs Union lasted a good 26 years. When the Customs Union was upgraded to the East African High Commission, it took 13 good years before it was converted in to the East African Common Services. That was on the eve of independence. Of all the treaties that spanned over 67 years, the East African Common Services was the most short-lived, lasting just 6 years before the newly independent member states converted it to the East African Community in 1967. However, on its 10th anniversary in 1977, the EAC broke up following irreconcilable differences among member states. The reason this year marks the defining moment in the history of the second EAC Treaty is because its predecessor broke up on its 10th birthday. We therefore can confidently say that the current one has withstood the test of time and weathered setbacks to be able to celebrate with pomp all over the region. Perhaps one of the shining milestones of its ten year history is the fact that not only has it put in place its first pillar, the East African Customs Union which has been in operation, albeit with teething problems since January 1, 2005. Yes, despite teething problems, it has had more successes than challenges. However, the biggest prize it won must go to the admission of Rwanda and Burundi in to its community of nations. Two years since admitting the two partner states, there seems to have been more stability in resolving conflicts and the speeding up of the negotiations towards the Common Market whose articles are ready for signing on November 20, this year. Once this important milestone is accomplished, the borders of the five partner states will be opened, hopefully on January 1, 2010 for free flow of goods, services, persons, capital and manpower. It will mean that for the first time in 32 years, East Africans will again have the freedom to cross borders, work and settle in any of the five territories without immigration hurdles. As part of the celebrations to mark 10 years since the EAC Treaty was signed in Arusha by Daniel arap Moi of Kenya, Benjamin Mkapa of Tanzania and Yoweri Museveni of Uganda, Kenya’s Ministry of East African Community launched its 5 year Strategic Plan spelling out Kenya’s role and engagement in the integration process of this economic block. One hopes that the same bold and clearly defined roadmap to our region’s integration also took place in each of the four partner states because a good Kenyan plan without the corresponding plans from the other partners will not achieve much if we have to move together as one people. A quick glance at Kenya’s MEAC Strategic Plan 2008-2012 reveals ambitious but well thought out goals and objectives which, if implemented, will earn Kenya her rightful place within the community. It is acutely aware that as Kenya strives to support the EAC programmes of a regional nature, it will define and refine its own strategies of maximizing benefits of the Community for the people of Kenya while at the same time balancing her national interests with those of partner states. In this context, Kenya will strive to “abstain from any measures likely to jeopardize the achievements of EAC objectives or implementation of the Treaty”. In the same breath, Kenya will strive to deepen and widen EAC Treaty principles and objectives as contained in the 1999 document, something that Kenyans expect to be reciprocated by partner states. However, in moving together as one region in the next decade, the challenge will be how the five member states will harmonize their administrative structures in the areas of good governance, democratic practice and the rule of law among other social dynamics. As it is, Tanzania and Kenya already have a political system that limits the terms of their Heads of State while it is not clear yet whether Rwanda and Burundi will go the same way once they stabilize their national politics. Uganda on the other hand amended its constitution a few years ago to revert to unlimited term for president. National politics aside; as long as the five member states can harmonize their social and economic systems, as long as they can converge security agencies and provide enough security, freedom of movement, trade and speech apply the rule of law fairly, so long as they can expand and unify democratic space as they negotiate the monetary union, East Africans will be happy to wait a little longer for Regional political unification. Presidential and parliamentary elections Wednesday are expected to hand another victory to President Armando Guebuza and Mozambique's party of former freedom fighters, underscoring the weight that liberation politics still carries in southern Africa -- at times, some say, to the detriment of democratic development. Mozambique hosted a calm, orderly vote, with no major irregularities noted by the time polls were closing for the day, according to preliminary findings by observers from the European Union. The mission won't release its final statement on the election until Friday. Results aren't expected until Nov. 12. But nearly everyone seemed to accept the ruling party's win as a foregone conclusion. After casting his ballot early Wednesday, Mr. Guebuza tried to sound encouraging. "Some people may think we've already won, so it's not worth going to vote," he told reporters. "But we hope they'll go and vote this time." Some voters are hoping that this election will show signs of growing support, small though it may be, for a new opposition party, the Mozambique Democratic Movement, run by Daviz Simango, mayor of the city of Beira. In Mozambique, as elsewhere across southern Africa, reform parties are gradually gaining ground against liberation politics as a young, urban generation comes of age; it is more interested in good jobs than in old wars. 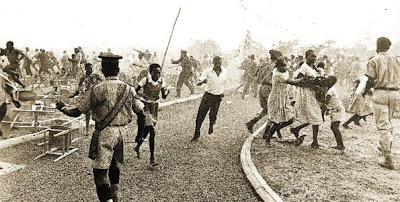 The struggle for independence in southern Africa was a bloody one. The racist regimes in South Africa, which controlled much of the region, and Rhodesia -- modern-day Zimbabwe -- brutalized the black populations, who formed guerrilla movements to oppose them. At independence, those movements were wildly popular. Today they still dominate the political scene in several southern African countries, including South Africa and Zimbabwe, raising concerns about government accountability and the strength of their multiparty democracies. Mozambique's ruling party, the Liberation Front of Mozambique, known as Frelimo, led the freedom struggle and defended the country in a civil war. It has never lost a presidential election since multiparty elections were first held, in 1994. Its liberation credentials propelled it to power early on, and it has remained the party of choice for many Mozambicans ever since. The official opposition party, Mozambican National Resistance, or Renamo, has suffered from an image problem: It fought Frelimo with support from apartheid South Africa during Mozambique's 16-year civil war. Renamo leader Afonso Dhlakama said Wednesday that he wouldn't contest the results should he lose. Much of Frelimo's success comes from its achievements. It rebuilt the country's infrastructure, destroyed in the war. The urban poor have better access to water and electricity. Mr. Guebuza has attracted more foreign investment to help exploit rich mineral and natural-gas resources. And it's the only party with a political record. "We're used to Frelimo," said Catalina Machala, a 33-year-old mother selling bread on a Maputo street. "We don't see another party that can really be an alternative." As with any group with a monopoly on power, there are questions about whether Frelimo is willing to relinquish it. During the campaign, local media and civil-society groups accused Frelimo of exerting influence on the electoral commission to exclude the Mozambique Democratic Movement party from some ballots. Mr. Simango's name was on the ballot nationwide as a presidential candidate, but his party was kept out of parliamentary races in many constituencies. Frelimo strongly denies the charge. The electoral commission is nominally independent, but several board members have ties to Frelimo. "They may be political members casually, but they aren't chosen based on their political affiliation," said Juvenal Bucuane, the commission spokesman, who is also a Frelimo member. "They strictly look for what candidates can best serve [the commission]." Frelimo's strength also has made it a dominant force in private life, many Mozambicans say. It can be difficult to secure career or business opportunities without ties to Frelimo, a trend that has increased under Mr. Guebuza, many people say. "That is absolutely false," said Edson Macuácua, Frelimo's secretary for mobilization and propaganda. "This is speech that comes from [the opposition's] political despair." Still, analysts say that in another decade, liberation politics may be forced to make way for new ideas. Even South Africa's venerated African National Congress was forced to campaign harder for votes this year. "I voted for change," said Nelfa Cakat, a 26-year-old secretary at a private company in Maputo, who said she voted for Mr. Simango. "[Frelimo] has been in power for 30 years. I was listening to Simango's speech, and it wasn't a speech about the war. There's hope in what he's saying." IS THE OBAMA ADMINISTRATION BULLYING OR ACCELERATING KENYA’S REFORM PROCESS? Let us face the reality of the situation here rather than burry our heads in the sand. Ties between Kenya and the USA run deep; deeper than the present generation may ever know. If Tom Mboya and JF Kennedy were alive today, they would be baffled by the current brick bats the two friendly countries keep throwing at each other. In fact one can be brave to add that the Democratic president of the United States then, JF Kennedy was the power behind the airlift that cemented the relationships between the two countries. Ironically, Barack Obama, the current Democratic president 50 years later and a product of that era, has been forced to deal with this souring relationship with the land of his forefathers. Is the US bullying Kenya? Yes, indeed it is bullying Kenya in the method it has chosen to deliver its message. Yes, Kenyans need reforms like yesterday. Yes, Kenyan leaders have been a letdown in the department of democracy and good governance in the last 46 years of independence. Yes, Kenyan leaders have let us down big time and for a long time. However, part of that blame must be shared by several American administrations since 1963. If it had not turned a blind eye to the excesses of Jomo Kenyatta and Daniel arap Moi for four decades, we would today not be talking of reforms. The Cold War era blinded Americans and the rest of the Western world to the cruelties of African dictators such as Jomo Kenyatta, Mobutu Seseseko, Kamuzu Banda, apartheid South Africa and numerous generals in Africa as long as they could support America and the West in the fight against Communism. This talk of democracy and good governance we hear about just started the other day when the Soviet Union and Berlin Wall collapsed in 1989. I can bet my last coin that had the USSR lasted to this day, dictators in Africa would still be having a field day. Personally I would love our reforms to be fast-tracked so that we get down to the business of rebuilding this country. We have been at it for too long for our comfort. What we want our friends from the USA and the European Union to do is to try a different approach in helping us accelerate reforms because the current approaches and their messengers are wrong and repulsive to Kenyans who want reforms but at the same time are proud of their country. If America is really a friend of Kenya and is keen on helping this country get the reforms in needs, then there must be a change of guard at the American Embassy in Nairobi because it is now obvious the current one has soured his relations with the regime it is supposed to deal with. If Michael Ranneberger doesn’t get it, this regime stopped listening to him a long time ago. Therefore if he still feels that he is the man to deliver ultimatums and tantrums, he has only one recourse left to him; resort to brute force to get things done! Looking at America’s recent history of dealing with countries it considers as rogue regimes, there are plenty of cases where its diplomacy failed and it resorted to brute force. We can cite Vietnam, Korea, Nicaragua, Panama, Iraq and Afghanistan. However, in all these countries cited so far, brute force never yielded the desired results for America. If anything, the outcome has been detrimental to its image internationally. This is the reason it is embroiled in a costly and never ending war in Iraq and Afghanistan where it routed for regime change. If brute force could sort out America’s enemies, we would today not have North Korea, Iran, Venezuela and Cuba still picketing at it over several international issues. Johnnie Carson and Michael Ranneberger may not be the right guys to execute reforms. They have been here long enough to know that they have lost respect of many Kenyans except perhaps for a few cheerleaders from the civil society. Their arrogance has put off many reformists that once supported our reform agenda. You cannot reform people by abusing and insulting them. It just doesn’t work anywhere. If Barack Obama truly wants to accelerate reforms in Kenya, let him work with truly seasoned and resolute diplomats in Kofi Annan and Graca Machel to bring about the change Kenyans can believe in. In the few years that the two eminent Africans have engaged with the political, civil society and the business community in Kenya, they have come to know the country like the back of their hands. They are adept at backroom diplomacy as opposed to the American”rooftop” format that ridicules rather than enhances its image locally. More importantly, America cannot afford to alienate Kenya at a time when its enemy number one, the Al Qaida are encroaching into the Horn of Africa through the Al Shabbab militia in Somalia , not to mention the lawless pirates in the Gulf of Eden. When there is a common enemy to fight, it is pointless and even dangerous for allies to start quarreling among themselves. Let us not put the cat before the horse. If we do that, the horse will tumble over and our journey will end prematurely. Right now we are busy demarcating new boundaries, writing a new constitution and reorganizing the electoral commission. We are doing this after a bitter experience in 2007 when democracy was massacred on the altar of personal interests. Because we worshipped our leaders more than our institutions, we sacrificed the latter at their expense. Much as we are waiting for a new constitution to give us the magic level playing field, the competition for national office will still not be fair if we leave the grassroots process as rotten as it was last time. What I mean here is that before we went to the polls for national elections, what we called party nominations was a joke to say the least in almost all major political parties. Prior to the elections, ODM nomination centres for parliamentary candidates were turned into battle fields. The strongest, most violent and fastest runners got to the finishing line and snatched nomination certificates from party officials. Whereas party big wigs avoided grassroots competition by awarding themselves direct nominations, the unlucky majority who paid hefty sums to be on the party ballot box lived to regret it. It was a case of losers winning and winners losing all over the country. It was so bad that some prominent individuals that were picked to oversee the exercise went away disgraced to this day. In other parties like ODMK, KANU and PNU, it was a case of party leaders sitting together and sharing slots among themselves. Some presidential candidates, fearing internal competition, either broke away to form their own parties then went ahead to nominate themselves for parliamentary and presidential elections without consulting the electorate. Some of the purported National Delegates Conventions at Kasarani were mere public shows to hoodwink the public that some form of democratic process was going on. Perhaps the only party that tried something resembling an American presidential primary process was the ODM. In that party, much as it had messed up its parliamentary nominations, it rehabilitated itself when it came to the presidential primaries. At that stage, Joe Nyagah, Najib Balala, William Ruto, Musalia Mudavadi and Raila Odinga, all traversed the country and campaigned hard to win the ODM presidential ticket and when the delegates finally gathered at Kasarani, Raila Odinga convincingly emerged tops with Musalia Mudavadi coming second. And it was gratifying for the country to see losers conceding defeat and vowing to support the winner. Anybody trying to reform the electoral process in Kenya cannot afford to ignore internal party elections because it is at that level where everything that is wrong with our politics lives. That is the place where real dictatorship, violence, bribery, cheating and anything evil can be found. Here, parties are formed by individuals for individuals. The party owners behave as if they own the electorate. They hardly brook any internal dissent. Any voice that tries to question the wisdom of the owners is hurriedly silenced by party hawks and the military wings. For democracy to find its place in Kenya, political parties must be divorced from their “owners” so that the electorate can once again own the parties they belong to. If this happens now that the government funds parties, professionalism will creep into the management of our politics. The current trend where a party leader is a member of parliament, CDF chairman, a cabinet minister, a deputy prime minister and even a head of state cannot be allowed to go on. Rules of the game must strive to enforce the principle of separation of powers. Those who opt to run party affairs must not be allowed to be MPs, ministers or heads of government. Those who opt to be in the cabinet must of necessity resign their seats as MPs and CDF managers. They should be content with national offices in the cabinet. Take the case now where Uhuru Kenyatta, William Ruto, Raila Odinga, Kalonzo Musyoka, Martha Karua and Moses Wetangula among others would like to contest for the presidency. Kenyans and indeed political parties must begin to see this trend as healthy. Let us not start cheap gossip within our parties by beginning to see aspirants as enemies of one another either within our political parties or at the national level. We have to be seen to be encouraging internal competition in order to strengthen our parties. Based on the above, let us encourage Ruto and any other member of ODM to contest for presidential nomination when it comes so long as the losers do not run away after losing the vote. Let us encourage more like Ruto within the ODM to come out and fight to lead. Likewise in PNU, KANU, NARC KENYA and ODMK, let us discard this notion that once you are made a party leader, then it is your birth right to be the automatic presidential nominee. Good democratic parties with best practices all over the world do not operate like that. IS KABAKA MUTEBI ANOTHER "MAD JARUO"? Today, political scientist and analyst Okello Lucima writes about Museveni and his looming political challenges. Sometime last year, President Yoweri Museveni reprised the ethnographic genealogies of Uganda’s ruling monarchies. In his adversarial stand-off with the Buganda monarchy, he derisively dismissed the Tooro, Bunyoro, and Buganda ruling houses as “Luo”. Gen. Museveni sounded to use “Luo”, derogatorily. As if anticipating spirited Ganda denials, the president pre-emptively challenged them to contradict him on whether “Wang Kac”, a clearly Lwo phrase, imprinted at the entrance to ancient Buganda palace gate, was in Luganda. Apparently, unlike the Christian God, and the Chosen Galilean Son, who has been “blind”, “deaf,” and has “absconded” for two thousand and nine years, the Luo Gods were not asleep when President Museveni spoke. Suddenly, a national, regional and international constellation of “Luo Stars”, which would include Kabaka Mutebi of Buganda, began to align in ways that has thrown a gauntlet to President Museveni’s 23 years of unbroken autocracy. Even moderate, perennially neutral voices such as columnists Opiyo Oloya and Onyango Obbo, who have sometimes given the president surprisingly good press over the years, seem to have final drafts of his political obituary on their desktops. For as long as dictator Museveni has been in power, Joseph Kony, at once and the same time the most famous, infamous and notoriously aberrant, outlier of the “Luo Stars”, has been a thorn at President Museveni’s triumphalist backside. But as far as conventional politics and opposition go, the 1980s and 1990s saw the courageous activisms of The Iron Lady, Hon. Cecilia Ogwal, Hon. Okello Okello, Hon. Reagan Okumu, Hon. Norbert Mao, and compatriot Joseph Ochieno. 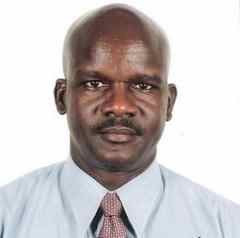 In academia, Professor Oloka Onyango led the troops. These were times when criticizing the NRM/A was as appropriate as members of the Christian Congregations asking their priests questions, on theological interpretations and canonical practices, after the Sunday sermon. The only critical voice that was expected, but also curtly dismissed, was that of the UPC leadership and Milton Obote in exile. Fortunately for President Museveni, these groups of internal critics were easy to contain, through draconian constitutional provisions that outlawed political parties, and establish a de facto military government and police state, which severely controlled information and political spaces outside of the ruling NRM/A. As for Milton Obote and his lieutenants such as Messers Ochieno and Yoga Adhola, who were in exile and outside the reach of the dictatorship in Kampala, past national tragedies and Luwero massacres were always conveniently available to hang onto their necks and weigh like a millstone, on their political and democratic credibility scales. But a year or so since President Museveni mocked Buganda and its “Luo” Monarchy, a vengeful, improvident god seems to have captured his soul and subversively taken control of his fate. Ominously to the east, rose Raila Odinga. Prime Minister Odinga’s rise to the Kenyan presidency was thwarted by open, day light robbery, apparently with the alleged collusion of the Ugandan ruler. President Museveni, like Kabaka Muwanga before him in the late 19th Century, seemed to have worried that a destructive force that might subject his presidency to ruins would come from the east. Therefore, as Bishop Hannington was for Kabaka Muwanga, so was Raila Odinga for Gen. Museveni, and his political ambitions needed to be stopped at all cost. As if suspicion of a less than enamoured Premier Odinga with Museveni’s uncontested regional and continental leadership pretensions were not enough, the humourless fishermen of Migingo Island on Lake Victoria threw a barren rock into the bubbling political cauldron. The splash, political tête-à-têtes and undiplomatic war of words that ensued between Kampala and Nairobi, drove President Museveni to unguardedly dismiss his detractors as “Mad Jaruos”-translation: his Luo critics are mad people. This was clearly a variation on Karusoke’s classification of northerners as mere “biological substances” deserving no moral considerations. Just after Prime Minister Raila Odinga rose in the east, another “Luo Star” was rising in the northern horizon. President Museveni’s oracles seemed to have been wrong after all, about an only easterly “malevolent” portend. Beating the odds, that even Gen. Museveni had recognised and hoped were insurmountable, the ascension of the mere “Junior Senator” from Illinois to the US presidency, foreclosed on Uganda’s equivocations and Enron-like leveraged, democratic defalcations. With Barack Obama in Washington, junior members of the Coalition of the Willing (COW) like President Museveni, suddenly saw their political stock values tumble much lower than they had been trading for under President Bush. Henceforth, they would still stand in line for largesse from Washington, but now they would also be held to account, and expected to give convincing narrative reports of their internal political and democratic balance sheets. Even as the surprise new power in Washington, and the other one-half of authority in Nairobi, were less than enthusiastic towards the twenty-three year fixture in Kampala, there was very little they could go on to directly shore up democratic internal opposition to the dictatorship. The conventional political opposition in Uganda was more than content to accept and play within the arbitrary rules Gen. Museveni had set for them. Hence, instead of taking proactive actions, Uganda’s opposition made a virtue out of the formalism of court challenges and reactive politics. They were more than satisfied with symbolic moral victories they could draw from sympathetic words of one or two minority judgement rulings in their favour, despite the fact the status quo remained as Museveni intended. That was until, mysteriously, a third “Luo star”, Olara Otunnu, for long maligned by Yoweri Museveni, hurtled out of his straight jacketed diplomatic orbit at the UN, and began to speak more candidly and with political overtones for the world’s children, as well as about the democratic deficit and retail politics in his homeland. As the former UN diplomat retched up his criticisms of Gen. Museveni for plunging Uganda into a “deep national crisis”, and embarked on a nation-wide tour to proclaim a new national democratic consensus, the Kabaka of Buganda, Ronald Mutebi, seemed to have reached deep into his being to summon up the characteristic “Luo” spirit of resistance to injustice and personal humiliation, to tell President Museveni, enough was enough. After three or more years of suffering in silence as he saw his Kingdom being dismantled piece by piece, and acre by acre, the Kabaka finally put his foot down over Kayunga. The rest, as we will forever remember as the Kabaka Riots of 2009, is history. If anyone had doubted the Baganda royals were “Luo”, Kabaka Mutebi did give them food for thought. He did not wilt in the face of terror. Instead, he gently and softly spoke truth to power, as did his “Luo” ancestors before him, who never were given to suffering personal humiliation and injustice passively. Clearly, the intersection of national, regional and international politics, and their aggregated consequences, including the recent Kayunga stirrings in Buganda, must make Gen. Museveni wish that he had not taunted and woken up the slumbering “Luo” gods and “Luo” mettle in Kabaka Mutebi. As the dynamics of international, regional and national politics begin to change, the quandary for President Museveni immediately is that it is difficult enough to be expected to begin to learn to work collaboratively and horizontally with other partners like the Kabaka as equals. It is equally humiliating, if you were Yoweri Museveni, and you had gotten used to hierarchical, command and control military style of leadership—especially if you were the one barking the commands. Because all of a sudden, you must now find creative ways to make nice with President Obama, Prime Minister Odinga, Kabaka Mutebi, as well as delicately offset the infectious impact of the diminutive Ambassador Olara Otunnu who, pound for pound, is certainly hitting ten times above his weight division (if physique counted for anything in politics). For President Museveni, knowing you are no longer the favourite “new breed” of African leader in Washington; or recognising that Nairobi is no longer the home away- from- home that it once was in the 1980s for the once lanky guerrilla leader, do make for a lonely and isolated living at State House. However, such is less sleep-depriving than the spectre of having to simultaneously fight political enemies in the White House, Nairobi, and Mengo or stomach the extremely galling prospects of the “dead” UPC rising from its ashes like the legendary sphinx; as Olara Otunnu, with the smile of a Cheshire cat on his face, cheekily shakes his magic wand around the country. So when President Museveni, in frustration blurted out the famous “ those mad Jaruos” at a press conference in Dar es Salaam, he did not have in mind the hapless Kenyans in the slums of Kibera, Nairobi, or angry western Kenyans, who had uprooted railway lines and blocked commercial road traffic to Uganda. Neither did he mean the pesky Kenyan fishermen of Migingo Island. The president was expressing deep anguish at the networks of influential “Luo” figures in politics, the press, academia, civil society and international diplomacy that have descended on and encircled him nationally, regionally, and internationally, like a wounded prey. This is not to say it is some global Luo ethnic ganging-up against President Museveni. But rather that the Luo are known to be honest, just and fair in their dealings with others, and always on the right and just side of history. Their most recent history in East Africa is littered with heroes like Tom Mboya, Robert Ouko, Archbishop Janani Luwum, Erinayo Oryema, and Oboth Ofumbi, to mention but six. The ultimate conundrum is: Having stirred the hornet’s nest with his own two sickly hands, can the “Lubengo” porter with shining pate, bundle and carry-like a valiant contestant in the “World’s Strongest Man” competition- the combined weight of three Os, an M, and a throne, across the finish lines, and ahead of the pack, in 2011? Fifty-three Special Programmes Ministry officials are under investigation over misuse of more than Sh100 million meant for the resettlement of internally displaced families. Internal Security and Provincial Administration PS Francis Kimemia disclosed this on Sunday, saying the officials would be prosecuted and sacked if found culpable. "The Government is using the Criminal Investigation Department and the Kenya Anti-Corruption Commission to investigate the missing money and soon the culprits will be arraigned in court," the PS told The Standard. He admitted resettling IDPs could have been faster except for the missing millions. The new development comes almost a month after the Government detected a scam of more than Sh250 million meant for IDPs in Rift Valley Province. Allocated last year to resettle those displaced in the province during post-election violence, the money was reportedly misappropriated, prompting an audit. It was understood that senior officials at the Office of the President reportedly raised the red flag in April, prompting the move. Former administrators in the province, now serving elsewhere after the recent shake-up, were allegedly implicated in the scandal. Currently, the Government is battling with the resettlement of IDPs and already the Ministry of Lands has received Sh1.4 billion from Treasury to buy land to resettle the IDPs. However, identification of land has proven difficult due to lack of public land bank. Last month, President Kibaki directed the more than 6,000 IDPs be resettled in a fortnight, instructing the ministries of Finance, Lands, Internal Security, Agriculture and Special Programmes to liaise on the matter. The Ministry of Special Programmes has been paying Sh25,000 to IDPs who did not go to camps, but were accommodated by their relatives. About 350,000 people were displaced in the post-election mayhem. Early this month, three MPs called for an independent audit of another Sh2 billion that had been spent in resettlement of IDPs. Roads Assistant Minister Lee Kinyanjui, Ndaragwa MP Jeremiah Kioni and Kinangop MP David Ngugi claimed some of the money might have been misappropriated. They claimed the funds so far allocated by the Government towards the exercise may have been used to pay ghost IDPs and did not benefit intended beneficiaries. Last week my readers corrected me. They told me that the ‘‘ahoi’’ are not only in Gema. You find them in every community. And I agree. In the tribe, the ‘‘ahoi’’ are subjects, not citizens. When their masters ask them to jump, they do not ask why. They ask how high! This is why the political support of some leaders borders on religion; the opium of the masses. And on this, I blame the ‘‘subjects’’. Although our leaders are zero, their followers are worse. I do not understand why the Luo ‘‘ahoi’’ are slaves to ‘‘Odingaism’’. What is the benefit except chains? Similarly, I am lost with regard to the Kalenjin Nation. 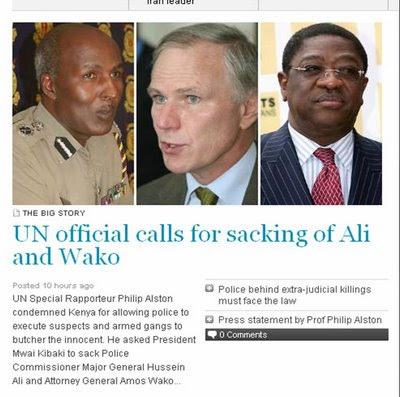 Now they have made Mr William Ruto their tribal ‘‘King’’. And then there are the “ahois” of Gema I spoke about last week. On his part, Mr Ruto claims to be self-made. He is proud of this. Yet a self-made man is nothing but a work of unskilled labour! Unguided, he is a disaster. My point? The tribe is a prison of collective consciousness. And its leaders are warlords of sorts; aggressive to the outside world, oppressive to the inside world. In sum, we cannot change the country without changing the tribe. The Luo ‘‘ahoi’’ must liberate themselves from the shackles of ‘‘Odingaism’’ for national liberation to happen. Similarly, the Kalenjin must free themselves from the ‘‘green-horn politics’’ of their young leaders. And likewise the Gema “ahoi”. But how does this happen? Consider some thoughts. Politics is about “… who gets what, when and how”. It is about ‘‘getting’’. If you ‘‘get’’ nothing from it, do nothing about it. In economic language, we call this ‘‘quid pro quo’’ or ‘‘mali kwa mali’’. Similarly, ‘‘politics is perception’’. And the perception that the tribe is a beneficiary of politics is a fat lie. In fact, the tribe is a myth. To the contrary, good politics is personal; bad politics is about ‘‘group think’’. Dictatorship thrives on ‘‘mob psychology’’, democracy is about individuality. In other words, the individual is more important than the group. And for us to overcome our national darkness, we must retreat to the personal away from the groupies. Allow me to expound with a story I read this week. We are all in a bucket called tribe. And the fisherman is the ‘‘tribal king’’. So long as we are together in the bucket, we are enslaved. But if we are put in the bucket as individuals, we will escape with speed. This is why we must reject tribe as our unifying factor and organising ideology. Instead, we should act in self interest. Besides, Kenya is you, your woman and your children. Period. Everyone else, including the beloved ‘‘tribe,’’ is a material lie. Or is it? Allow me now to flip my argument. The Luo tell us this; “… if you want to go fast, go alone; if you want to go far, go with others”. And in search of others, the most familiar people are those of our tribe. Yet the tribe is never about the future. It is about a shared history; a common heritage. It gives a false sense of belonging, but it rarely feeds your children. This is why I call it a material lie. My proposal to the country therefore is this: We should all commit ethnic suicide. For the ‘‘ahoi’’, poverty and not tribe is the denominator. If the Kalenjin or Kikuyu ‘‘ahoi’’ are arming themselves, therefore, it should not be to harm the poor. It should be to fight poverty and those who entrench it. But committing ethnic suicide has another two benefits. One, we will be able to see things as they are. Not as we are. Currently, the country is sober. But once Mr Moreno Ocampo lands, the polarities will emerge. Similarly, we have no views about the constitution. But what the politicians will oppose is what we will follow. But with ethnic suicide, we will become human beings not tribal animals. Instead of supporting the politicians over the constitution, we will make a constitution for our children. And this is why we should listen to the church over the ‘‘stabilisation reforms’’. Our tunnel vision is limiting us on this matter. Two, ethnic suicide will jump-start the process of healing. According to the ‘‘Law of Nature’’, something must die for the new to emerge. And nothing illustrates this better than the metamorphosis of a butterfly. After the egg hatches, it begins life in the ‘‘pupa’’ stage before entering the ‘‘larva’’ stage as a caterpillar. Then the caterpillar weaves a silky cocoon around its body, suspends itself on a leafy branch and takes a long deep, deep sleep. Warmed by the sun, and protected from the rain, it waits. Then, one day movement occurs and a butterfly emerges. After drying its new wings in the morning breeze, it takes off into the air. In each of the stages, something dies. But no loss is experienced because something new, even better, emerges. And this is what nature is calling us to do for Mother Kenya. Something must die for the new to emerge. Are we ready for this? My name is Mutahi Ngunyi, citizen number 4855678, and I will commit ethnic suicide for the love of Kenya! With about three years to the 2012 General Election, opinion polls are providing us fresh data to spin a new round of the usual "who’s up, who’s down" political chatter. Evidently, no reporter read the fine print of the Synovate opinion poll results released last week. If they did, they would have provided insights into interesting developments in the vote-rich Rift Valley Province. Last Wednesday, I called my old friend George Waititu, Group Managing Director Synovate Research, and requested for a breakdown of how prospective presidential candidates for 2012 fared at the provincial level. The results point to a tight race between Prime Minister Raila Odinga and Agriculture Minister William Ruto in Rift Valley. Some 23 per cent of those polled said they would prefer the Agriculture Minister for president against 22 per cent for the PM. This shows significant signs of progress for Ruto who only recently declared his presidential ambitions, but also points to areas of concern for Ruto and PM. It is still a matter of conjecture whether Raila and Ruto will campaign against each other in Rift Valley, but if it happens it would be a fight rich in substance and symbolism but destructive for both. Raila should be concerned because the poll shows a considerable shift in momentum in the province where he got more than 1.3 million votes in the 2007 presidential election. It also vindicates a commonly held view that a Ruto candidacy could damage his chances there. For Ruto, the fact that the polls were conducted between October 5 and 13, long after he had differed sharply with the PM over the Mau Forest issue and handling of perpetrators of the post-election violence, is cause for worry. It means that the recent threats by MPs allied to him against the PM could be ineffective because the PM is still rated high in the vote-rich province. I could be wrong, but conventional wisdom tells me after all the negative campaigns, Raila should be tinkering at his lowest ebb in Rift Valley. If this is true, and he still had a draw with Ruto there, it is a signal for the Agriculture Minister to change tack. But our politicians only respect opinion polls when it shows them ahead of the pack. I don’t expect Ruto to buy this idea, but the minister should be aware such polls point to a predictive future pattern. Of all the eight prospective presidential candidates for 2012 polled, only Raila got 25 per cent in at least five provinces. He polled as follows: North-Eastern (37 per cent), Western (44 per cent), Nyanza (66 per cent), Nairobi (33 per cent) and Coast (44 per cent). All the other candidates flopped with Finance Minister Uhuru Kenyatta and Vice-President Kalonzo Musyoka, each getting at least 25 per cent of votes in only one province. Uhuru got 30 per cent in Central and Kalonzo 48 per cent in Eastern. To be sure, none of this proves that efforts at national reconciliation are bearing any fruits. The high percentage of undecided voters also shows our politicians still need to do a lot more to convince people to vote for them. 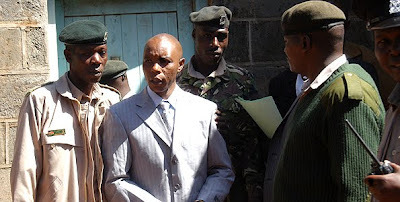 The relationship between released Mungiki sect leader Maina Njenga and a number of prominent politicians from Central Kenya has been cold, and he is not willing to mend fences with most of them, he revealed on Saturday. But, at the same time, the Mungiki leader said the proscribed sect has worked with many senior government officials, some currently in office and others who served in the last Parliament, he told the Sunday Nation on Saturday. Mr Njenga said he knew his enemies but he would not seek revenge. “I know who we can work with and those who betrayed us. I mean those who have been plotting to kill Kikuyu youth and blame it on the government,” he said. He spoke at his second palatial home in Isinya, a short distance from his other home in Kitengela. When the Sunday Nation team arrived at the magnificent home shortly after 8 a.m., Mr Njenga was taking breakfast with a few relatives and friends. He said the 2012 succession battle has pitted veteran politicians against the youthful generation and predicted that the young generation will triumph. But the Sunday Nation independently learnt from Mr Njenga’s confidantes that he had planned to name powerful public figures, some of whom harbour presidential ambitions. Pictures of the politicians taken during Mungiki-related activities since 1997 had been collected and would have been presented in court with damaging political effects. It is understood that Mr Njenga was disappointed that the people his sect had worked with over the years were “being hypocritical” and had refused to come out in the open about their relationship. Instead, they turned their back on him when he was on trial, he said. Another confidante said that there was panic in government the whole of this month especially when the affidavit reached high government offices. One of five lawyers who represented Mr Njenga, but who requested anonymity citing sensitivity of the matter, said his client was acquitted on legal grounds, and that there was no evidence linking him to the murder of 29 people in Mathira in April this year. But he admitted there was also a lot of political pressure to have the charges dropped. “On Thursday evening, we were summoned to court at 9 a.m. for an urgent mention of the two murder charges. We were not surprised when the Attorney- General terminated the case through state counsel Charles Orinda,” said the lawyer. But on Saturday, Mr Njenga said he had been in prison for all the wrong reasons. “I am not a criminal and I do not smoke bhang or cigarettes. I also do not take alcohol. I just want a society that is just,” he said. Mr Njenga admitted he fell out with a number of Central Kenya politicians in 2002 when Kanu denied him a ticket to run for the Laikipia West parliamentary seat. He said the relationship between him and the politicians worsened in 2005 when he went against the grain and campaigned against the draft constitution, contrary to popular opinion in the area. “They were mad at me. They thought we were fighting a community battle but my conscience was clear -- the document was not for the benefit of the majority of Kenyans,” he said. The politicians, he said, have blocked sect members from holding talks with Prime Minister Raila Odinga. “They think Raila will get our support and they are bitter with it. I do not care where a good leader comes from. Who told them it is only Mt Kenya that can produce a president?” he asked. KENYAN JUSTICE THAT IS NOT SO BLIND AFTER ALL: IT RECOGNIZES STATUS! Thomas Cholmondeley, one of the country’s aristocrats, was released from prison under a cloud of controversy similar to one that enveloped his dramatic three-year trial. Cholmondeley left Kamiti Maximum Security Prison, where he served five months for killing stonemason Robert Njoya, on Friday at dawn — perhaps hoping it was early enough not to cause a commotion. But at dusk, prison authorities had summoned a news conference to explain his release — hardly routine for release of inmates — exposing the controversy gripping the Old Estonian’s walk to freedom. Earlier prisons officials had said Cholmondeley was freed under parole for inmates who have served two-thirds of their sentence and behaved well. He had been jailed for eight months in May for killing Njoya in his Soysambu farm in Naivasha. Cholmondeley’s trial and sentencing was as dramatic and disputed as his release from prison. The trial, which began in 2006, was one of the most sensational in the country’s recent history, coming just a year after Cholmondeley was acquitted of the murder of a KWS warder at the same Soysambu ranch. In 2005 Cholmondeley had been charged with the murder of Samson ole Sisina. He spent a month in custody before the State terminated the case, citing lack of evidence to sustain a murder charge. An inquest into the death of ole Sisina is open. The acquittal outraged the public, but the rage dissipated with time, only for Kenyans to wake up to the news of Njoya’s murder at Soysambu one year later. 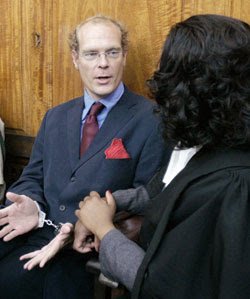 After a protracted three-year trial Cholmondeley was found guilty of killing Njoya. But the High Courtspared him the hangman’s noose after the murder charge was reduced to manslaughter. Justice Muga Apondi sentenced the grandchild of Lord Delamere to eight months imprisonment, prompting protests against the "light sentence". Under Kenyan laws manslaughter carries a sentence of up to life in prison. However Justice Apondi said he was giving him a "light sentence" because he had been in custody for three years and had tried to help Njoya and transport him to hospital. Even then the judge acknowledged the controversy of the case and partly blamed it on the emotive land issue. "This court understands the undercurrents, but I believe the Executive is dealing with the issues of land and other inequalities," he said. The expansive estate, estimated at about 19,000 hectares (48,000 acres), has been at the centre of the controversial debate on the country’s skewed land distribution. In mitigation, defence lawyer Fred Ojiambo said the Delamere family was willing to meet the "material and spiritual needs" of the Njoyas. He pitched for a sentence "that allows the accused to participate in their welfare." And on Friday, Cholmondeley was freed hoping time spent in jail was a healer, and would calm his critics, but events following his release were not rosy. He was driven to freedom from Kamiti Maximum Prison in a prison van at about 7am at his request, according to authorities. The arrangement, it is understood, arose after he expressed fears the media may have been tipped of his release and he was apprehensive the publicity could have prompted protests. Prison sources told The Standard on Saturday Cholmondeley, 40, had packed his belongings on Wednesday night in readiness for his walk to freedom. Witnesses said he was excited but nervous as the vehicle drove out of the Kamiti compound while saluting at the warders at the gates. No member of his family turned up at the prisons gates. He reportedly was dropped in Karen at a friend’s house. Director of Public Prosecutions Keriako Tobiko told the Saturday Nation that the evidence presented by the police could not sustain the murder charges levelled against Mr Maina Njenga. “The Attorney General subjected the file to his own independent review and concurred with the DPP that there was no sufficient evidence to warrant the continuation of the murder case,” said Mr Tobiko. The DPP’s confession came only hours after the State entered a nolle prosequi in the murder case against Mr Njenga and 21 others before a Nyeri court. Quoting section 82(1) of the Criminal Procedure Code that gives the AG powers to terminate any criminal proceedings, State counsel Charles Orinda told Mr Justice Joseph Sergon that the State did not wish to pursue the case. “It is his (AG) desire for this matter to cease... I have duly signed the nolle prosequi with the purpose of terminating the proceedings,” Mr Orinda told Mr Justice Sergon. The murder charges relate to the Mathira massacre in which 29 people were hacked to death by suspected Mungiki members on May 20. Mr Njenga had been freed on April 28 but enjoyed the freedom briefly. Shortly after the court released him following a successful appeal, police pounced on him and whisked him away. He had appealed against a five-year jail term on charges of possessing an illegal firearm and trafficking in narcotic drugs. Mr Njenga’s release caught even his family members by surprise coming only a day after he and his three co-accused took their pleas. The State had also applied to have their cases consolidated with the one facing the 18 other suspects. The AG’s move had fuelled widespread speculation over Mr Njenga’s earlier intention to release an affidavit whose contents remained undisclosed. Defence lawyer Paul Muite had told the press on Tuesday after meeting his client at the King’ong’o Prison that Mr Njenga had given him the green light to file the affidavit within 10 days, whether or not the State granted him protection under the Witness Protection Act. Yesterday, Mr Muite declined to comment on whether the threat to file the statement had anything to do with the dropping of the case. And, speaking outside the King’ong’o prison gates, the Mungiki leader said his first priority would be to get baptised and bury his wife, whose body has been lying in the mortuary for the past one year. “My priority will be to get baptised, that is why I have been looking for a priest. I also need to bury my wife, the mother of my children,” he said. s news of his release spread, Mr Njenga’s supporters broke into celebrations in Nairobi and parts of Central Province. In Nairobi, his supporters thronged the Jesus is Alive Ministries on Haile Selassie Avenue where the freed man had gone for prayers organised by Starehe MP Bishop Margaret Wanjiru. Speaking to the media in Bishop Wanjiru’s office, Mr Njenga explained that he had finally accepted salvation following his years of incarceration. After a short service, the Mungiki leader headed to his Kitengela house. At Uhuru Park, his supporters were confronted by armed General Service Unit (GSU) who descended on them with batons, arresting about 10 in the process. A RAT'S ENEMY IS ALSO THE ENEMY OF A COW! The Chinese have a saying: “Fool me once, shame on you. Fool me twice, shame on me”. That is the premise from which I begin my reflections on the last presidential elections. We have allowed ourselves to be fooled more than once by President Yoweri Museveni and it’s time to examine what we have been through. The 2001 election was for all intents and purposes a two-horse race. While Dr Kiiza Besigye had a strong organisational machinery, this was nullified by Mr Museveni’s heavy reliance on the state apparatus. The top brass of the army made pointed statements showing intolerance for a victory other than Mr Museveni’s. Dr Besigye encouraged this militarisation of the process too. He held out as the “hammer” capable of removing the “cotter-pin”. Thus the voters lost confidence in any other candidate no matter how good their manifestos were. But all along it was clear that Dr. Besigye’s tough rhetoric was caged in a reformist attitude. If he had come out as a true hurricane of change, seeking not to reform but to demolish the Movement, he would have even done better. Nevertheless the people still took him as the most serious standard bearer of change. The lesson here is that ultimately people will always choose “leadership and organisation” over “labels”. Ideally the contest was to be one of fear versus hope. Since the Museveni campaign generated so much fear in the electorate, his opponents had to generate enough hope to counter the fear. There is a parallel between Mr Museveni’s campaign and the one that Charles Taylor ran in Liberia. The parallel is both in the process and the outcome. Like Mr Taylor, Mr Museveni projected himself as the bully of bullies, the “baddest” of the bad and therefore unless he held the reins, there would be chaos. He is on record saying that he wanted to re-organise the army so that it does not cause problems for the country. But even while saying that, his lack of faith in the rank and file of the soldiers showed when he started relying more and more on his Presidential Protection Unit. And so, like Mr Taylor, Mr Museveni bullied his way to electoral victory. In a country with low urbanisation - over 60 percent of Ugandans live in rural areas - by keeping the war drums within earshot, and the guns within full view of the populace, many Ugandans especially in the South thought the safe thing was to crown the Bully King. These things used to happen in the Wild West (excuse the pun) of America when a terrified citizenry would make the most savage cowboy Sheriff. He would become Sheriff not because he was the best leader but because he had the fastest gun in town. Unless our politics stops leaning towards gunmen we shall remain in a vicious cycle carrying the burden of militarism around our necks. That is why it is accurate to say that the Besigye candidature presented a solution and a problem; an opportunity and a threat; a fear and a hope. The UPC/Obote bogey is still Mr Museveni’s unique selling point. This is the reason why Washington, London and Paris have given him the longest post cold war honey moon of any African President. Like a driver obsessed with his rear view mirrors, he speeds on unmindful of what lies clearly in front of him. By concentrating on the past, the hopes and aspirations of Ugandans remain neglected. The bogey was portrayed in most of the adverts published or broadcast by the Museveni task force and was intended to portray Dr. Besigye as a Trojan Horse of the “past leaders”. This showed the double standards that Museveni played by. While he is free to welcome back former “enemies” and even take money to Obote’s family, others must not be seen to associate with “past leaders” in a similar manner. Then there is the question of rigging. Rigging is not a one-day affair. Many people think election rigging is only done on Election Day. In reality rigging is a process. The laws governing the process bogged down the opposition while the incumbent had free rein. These processes tilted the playing field heavily in favour of the incumbent to an extent that even without rigging the poll on election day itself, the process could not pass the free and fair test. It is for this reason that some international observers like one Constantine Huber naively marvelled at the orderliness and transparency of the whole process. While elections are won and lost on Election Day, one must not wait until that day to deal with evils that culminate into an unwarranted electoral defeat. Mr Museveni had the Movement structures to help him right from the LCs. His opponents are constitutionally denied the right to organise. One cannot run an effective campaign in the absence of the right to organise. In 1996 we were said to be weak and hopeless by many in the Movement. Today they would take their hats off for the IPFC. When all is said, we have learnt a lot. First, to allude to the poet John Donne, when the bell tolls, do not ask for whom it tolls, for it tolls for thee. In 1996 after the IPFC was rigged out of the polls, our complaints fell on deaf ears. We were ridiculed as an apparatus comprised of political deadwood. While this could not be entirely denied, the truth is that restrictive laws and the heavy hand of the state could not allow a meaningful contest. At that time many of Mr Museveni’s current opponents were chanting “no change” — they did not know that they were riding a tiger. I am reminded here of a folktale. A family decided to set a trap for a rat. The cunning rat saw the trap and avoided it. But because of the imminent danger, the rat appealed for help from the other “members” of the household namely a chicken, a goat and a cow. “There is a dangerous trap which has been set ostensibly for me but I think it can cause problems for all of us”, cried the terrified rat. The chicken told the rat in no uncertain terms that rat-traps are for rats not chicken and so would the rat mind its own business. The goat also laughed off the rat’s appeal. The cow looked at the trap once and walked away without even bothering to honour the rat with a reply. In the night, the family members heard the trap go off and they thought that at last they had got the stubborn rat. The lady of the house went in the dark to feel the trap. But alas, it had not caught the rat but a poisonous snake! It was too late. The snake bit the lady and killed her. During the funeral, custom had to be followed strictly. A chicken has to be killed at the gravesite followed by a goat. So the indifferent chicken and goat were slaughtered. Since the family was a well-known one, there were many mourners. The insolent cow was slaughtered to feed the mourners. The rat watched all this from a safe distance. A stitch in time saves nine! This to me sums up the story of the last election. Solidarity is the single most important lesson of the last election. Do not wait for the floods to reach your backyard before throwing a life jacket to those already drowning! THE SOUTHERN African Development Community (Sadc) will next Thursday dispatch to Harare a fact-finding ministerial team -- drawn from countries represented on the regional bloc's organ on politics, defence and security cooperation -- to deal with the Zimbabwean political situation. The move would mark Sadc's intervention in Zimbabwe's political crisis following the partial withdrawal from government by Prime Minister Morgan Tsvangirai and his Movement for Democratic Change (MDC) last week. Diplomatic sources said the Sadc organ on politics, defence and security cooperation chair, Mozambican President Armando Guebuza, told Tsvangirai on Tuesday when they met in Chimoio that a ministerial team would visit Harare on Thursday to kick-start a regional mediation process to sort out the current situation. The team would comprise ministers from Zambia, Swaziland and Mozambique. Tsvangirai also met Sadc chair, DRC President Joseph Kabila, yesterday in Kinshasa and would be meeting Angolan President Eduardo Dos Santos in Luanda today for further talks on Zimbabwe with regional leaders. James Maridadi, Tsvangirai's spokesman, yesterday confirmed the meeting. "The prime minister has just met with President Kabila to discuss the Zimbabwe situation," he said. "He appraised him on the current events in Zimbabwe and President Kabila made a commitment to treat the issue as an urgent matter. He will engage with his Sadc colleagues, particularly President Guebuza on the way forward." Sources said all necessary arrangements for next week's meetings have already been made by the Sadc executive secretary Tomaz Salomao who has been seized with the issues since last week. Salomao visited Zimbabwe last weekend for talks with the political leadership, including President Robert Mugabe, to lay the ground for Sadc intervention. Salomao also attended the Chimoio meeting and was frantically trying to hold talks with South African President Jacob Zuma and Zimbabwe mediator Thabo Mbeki to brief them on the outcome of the Chimoio meeting. Sources said Mbeki remains the mediator in Zimbabwe and might soon visit the country if the current political deadlock remains. Salomao has indicated Zimbabwe's problems must be primarily resolved by the country's fighting political principals, a view shared by Mbeki and some Sadc leaders. Smaller MDC faction leader Arthur Mutambara has been trying to broker a meeting between Mugabe and Tsvangirai which is expected to take place anytime now. Prior to meeting Kabila yesterday, Tsvangirai met Zuma on Wednesday in Cape Town for talks. Maridadi confirmed all the meetings. A statement issued by Zuma's office said the South Africa leader had "expressed concern at the situation in Zimbabwe" and said "Zimbabwe should not be allowed to slide back into instability". Zuma, who relinquished the SADC chairmanship last month, remains influential in the regional bloc since South Africa remains part of the Sadc summit troika which also includes the DRC and Namibia. The summit troika is different from the Sadc organ on politics, defence and security troika which has Mozambique, Zambia and Swaziland as its members. Tsvangirai and the MDC partly pulled out of government -- via a boycott of cabinet and the council of ministers -- citing Mugabe and Zanu PF's refusal to fully implement the Global Political Agreement (GPA) and a series of outstanding issues. Mugabe's press secretary George Charamba has dismissed the MDC boycott as "monkey business" -- a move "full of sound and fury signifying nothing". However, MDC deputy Information minister Jameson Timba said Charamba's remarks reflected his "political naivety". "If it's a non-event why is he talking about it? It shows his political naivety," Timba said. "Charamba is a civil servant who should not dabble in issues that don't concern him."